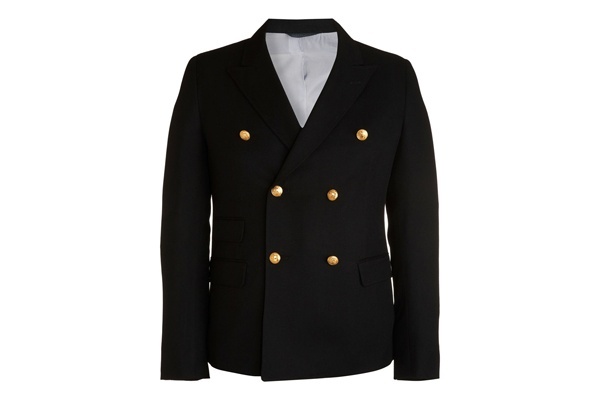 Band of Outsiders recreates a classic with this beautiful navy blue double breasted blazer. Made of calvary twill wool, and designed with a classic 4-2 buttoning system, this is an absolute essential for the smart dressed man in warm weather. Pick it up online now. This entry was posted in Blazers, Tops. Bookmark the permalink.